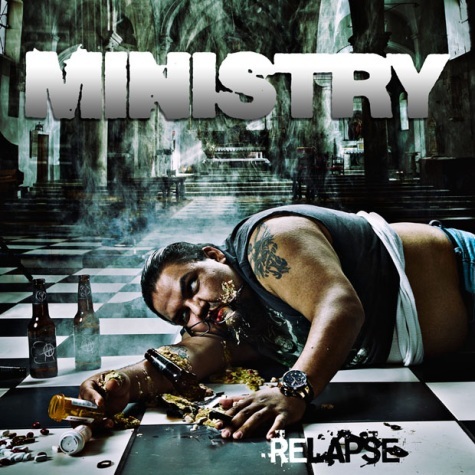 Returning after a four-year hiatus, synthpop-turned-industrial stalwarts Ministry will release their 12th studio album, Relapse, on March 30th via frontman Al Jourgensen’s imprint 13th Planet Records. According to Exclaim, album’s lead single is an anthem for the Occupy movement titled 99 Percenters. The track will be available on iTunes starting December 23rd, with an online stream taking place on Ministrys Facebook page on Christmas Day. Jourgensen describes the album as the band’s fastest and heaviest material yet. However, due to a recent health lapse, Ministry will limit their 2012 tour dates. Check out the docket below and stay tuned for more info.